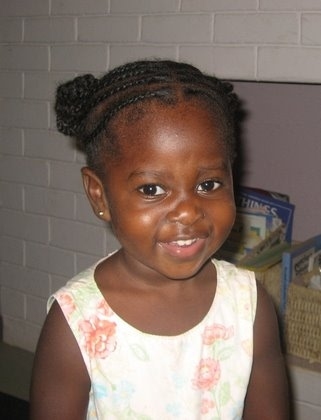 On October 8, 2007 God gave us an amazing gift, our beautiful daughter, Keyara. At the time we had no idea how much this 2 month old baby was going to change our future. We had every hope of bringing her home to meet our family for Christmas . . . but God had other plans in store. Although the last two years have not gone according to our plans – we wouldn’t want to change them – even if we could! We are grateful for all that we have experienced and learned during this time of uncertainty. 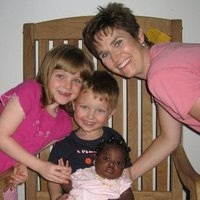 The day we took Keyara home from the orphanage! On October 8, 2009 we will file a petition with the U.S. Embassy requesting that they recognize Keyara as an immediate family member. Once this is granted we’ll be able to apply for an Immigrant Visa for Keyara. The Embassy has given us some hope that this can occur in time for us to be home for Christmas. But . . . we’ll believe it once we see the stamp in Keyara’s passport! We’d like to ask that you remember us in pray as we start this new process on Thursday. Although we believe that God will release us to go home in His timing . . . we want to make sure that we do our part by filling out the proper paperwork and going through all the correct procedures. Another prayer point is that Mercy Ships has only agreed to process our funding until December 31st so we will need to start with our job search as soon as we get home. We'd like to start now but being available for an in person interview is not an option - which could put most people off. However, if any of you have suggestions or leads for Kreig he’d love to hear them. In case you don’t know his qualifications here is a brief summary. Kreig holds Bachelors and Masters Degrees in Mechanical Engineering and specializes in design. He has significant experience in development and deployment of IT systems. He has broad experience in setting up and running financial systems in an international context. In spite of tough economic times we trust that God has a job waiting for us – He has been faithful to provide for all of our needs and we know He will continue. Of course, sometimes God uses others to help guide our steps . . . so if any of you would like to help in our job search it would be greatly appreciated. We thank God for the many friends, family and supporters that have walked this journey with us since we joined Mercy Ships in May 1997. We are excited about our next season of life but know that it will be a big adjustment and culture shock for all of us – especially the kids. Kaitlyn and Kaleb haven’t been on US soil since November 2006. They get excited when we go to the Total Gas Station here in Monrovia because of the small mini mart which has about 15 candy bars at the checkout. You can only imagine what it will be like when they get inside a Walmart! Thank you for all that you have meant in our lives and we look forward to reconnecting with you soon! We continue to pray for you, and are anticipating your soon return to US. You are always in my prayers but will be praying extra hard that all the paper work will be filed in a timely manner & that the Keyaras passport will get that stamp.